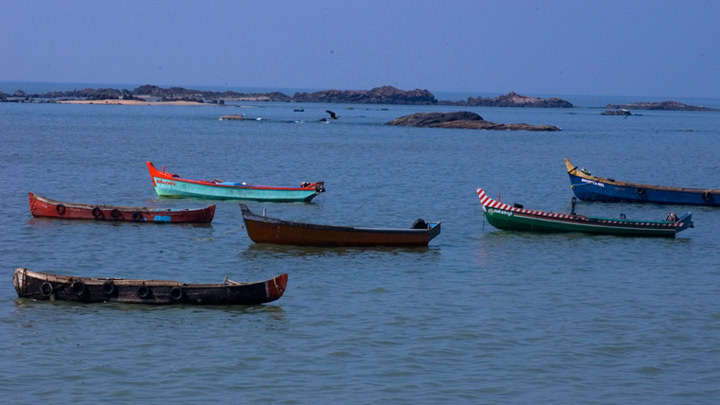 Thalassery has a unique place in Kerala's history and has an equally interesting evolution of culture, religion and tradition. Thalassery in Kannur, a northern district of Kerala, before the country's independence had its social, political and cultural life shaped up by the local rulers, foreign trade links as well imperial powers like the Portuguese and the British. 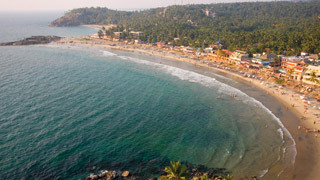 In Kerala, perhaps no other place can boast of having several unique aspects attached to a region like that of Thalassery. 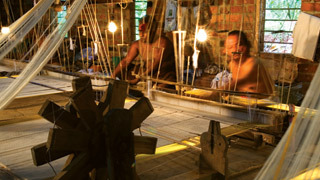 The place has to its credit many firsts in its socio-cultural life and it would be interesting to explore some of them. Let us start with the sporting side of Thalassery. And what better than the game of Cricket, which has become a national game to people belonging to all age groups. 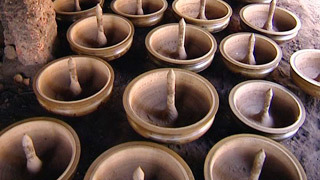 Cricket and Thalassery has a relationship, which eventually resulted in the popularity of this game in other parts of Kerala. Introduced by the British, the family of the Moosas in Thalassery also patronized the same. In the process, the family house of the Moosas called 'Bangla' have had the opportunity to play host to some of the cricketing heroes of the country like Mohammed Azharudin, Krishnamachari Sreekanth and Anil Kumble. If you have a craving for the latest fashion in town, then go for it. Thalassery and fashion may sound a bit odd to those from Kochi and other towns of Kerala. But, if one wants to keep tab of the latest in fashion, step into Logan's Street in Thalassery. Named after the European, Mr. Logan, who wrote the Malabar Manual, the street is abuzz with youngsters, who scan shops selling the latest clothing, especially men's wear. Logan's Street has a phenomenal number of shops and the number is increasing by the day. And for those with a liking for tales of adventure, 'Flying Soumini' of Thalassery has lots of it to share. Well, don't mistake the name for some rare species, but the name belongs to a dare devil lady who inspired many to try their luck in circus. Ms. Soumini now leading a retired life in Thalassery in her hey days used to draw thunderous applause for her courageous performance, when she had elephant to rest its feet on her chest. Through Ms. Soumini opens up the adventure traits of the people of Thalassery and in the earlier days people looked up to circus as a lucrative means to make a living and to look after their families. During those days in Thalassery, at least one member used to join circus, and most of them had a rewarding stint. Now for a bit of sweet-talking. In the world of sweets and confectionaries Thalassery owes a lot to Mampally Bakers. More than 120 years of experience in dealing with bakery products has made Mampally Bakers the de facto pioneers in Kerala. It all began with Mampally Royal Biscuits Factory and the encounter of Mr. Mampally Bappu with the Briton Mr. Brown. It was a piece of cake that Mr. Brown gave to Mr. Mampally Bappu and asked him to make a similar cake. Mr. Bappu seeing a cake piece for the first time in his life, and without knowing the ingredients of the cake took up Mr. Brown's challenge. He finally made a cake, which Mr. Brown found very tasty and gave more orders. Thus began a new chapter for Mampally Bakers, which slowly expanded their business and now has branches in different parts of Kerala. Sweets from Mampally Bakery were also sent to troops during the First World War. People visiting Thalassery without fail buy biscuits and sweets from Mampally Bakers as if there does not exist bakeries in other parts of Kerala. If you had enough of Thalassery, let us now take the next flight to Paris. Excuse us please?it is not to the city of dreams Paris by the Seine, but to a hotel named Paris on Logan's Street in Thalassery. What is so special about Paris?. Well, just take a walk along Logan's Street and you would immediately be drawn by the smell of Biriyani being prepared at Paris, which would eventually make you take a seat and order for one. According to Mr. Aziz, the owner of Paris it is the smell that counts and once you smell it right, you are assured of its quality. 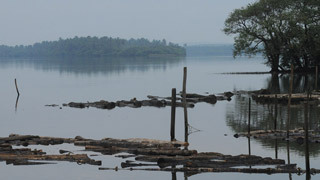 Well, these are some of the interesting aspects typical to Thalassery. 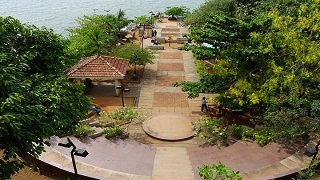 But, let us also have a look at some of the prominent landmarks and important testimonials in the eventful history of Thalassery like the Thalassery Fort. Built in 1708 by the East India Company, the fort is situated by the seaside. Yet another seaside attraction is the pier, which was built in 1910 to facilitate transportation of goods from deep sea to land. 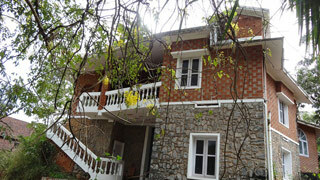 Towards North, situated on the Dharmadom Island is the 143-year-old Brunnen College, with a galaxy of eminent personalities forming part of its alumni. 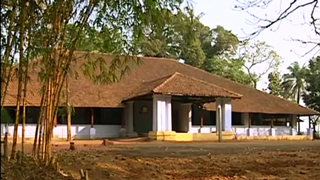 The Illikunnu Bungalow in Thalassery is another place of significance, as this is where Mr. Herman Gundert who arrived in Kerala in 1839 lived and prepared the first dictionary of Malayalam language. Thalassery may be a small town, but it is a place where one can see and feel some interesting aspects of life, which few other places in Kerala possess.